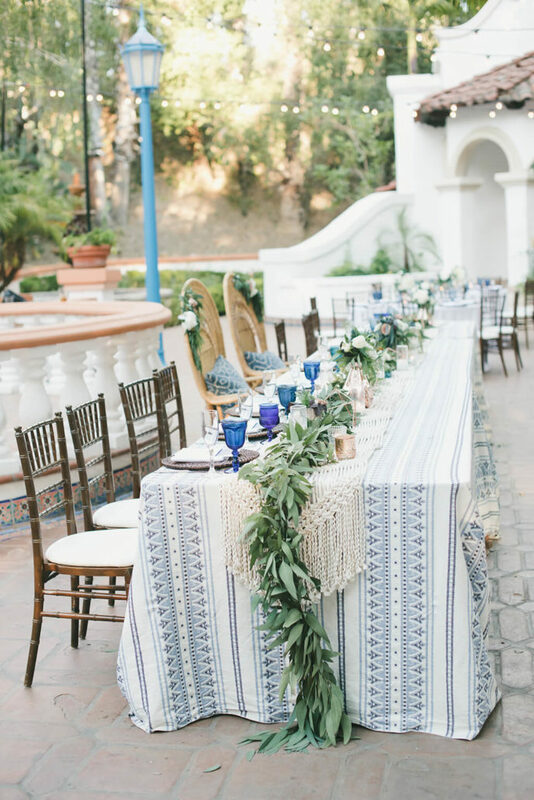 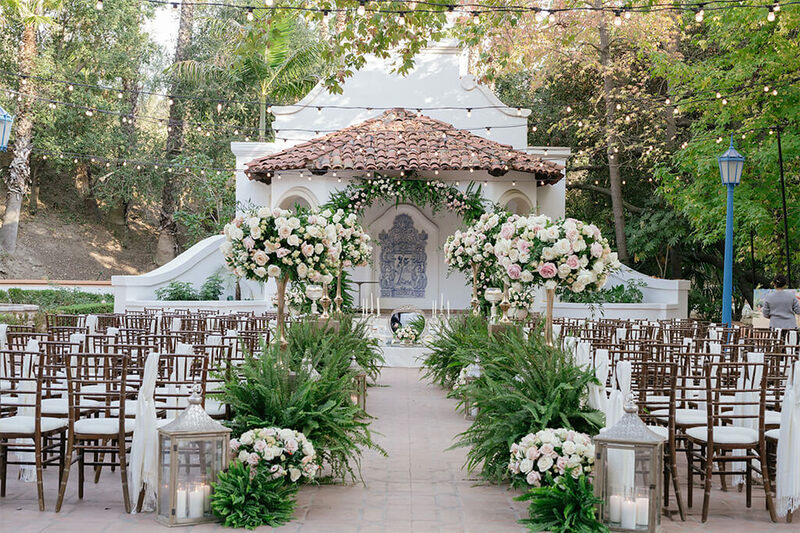 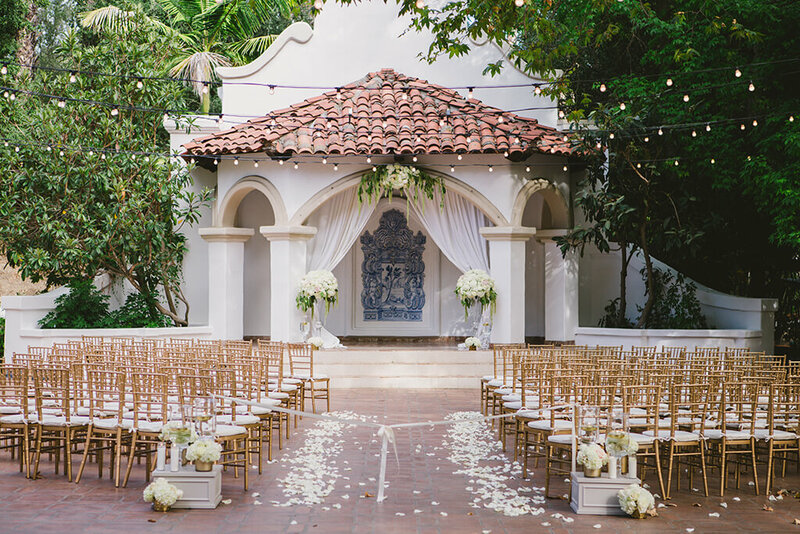 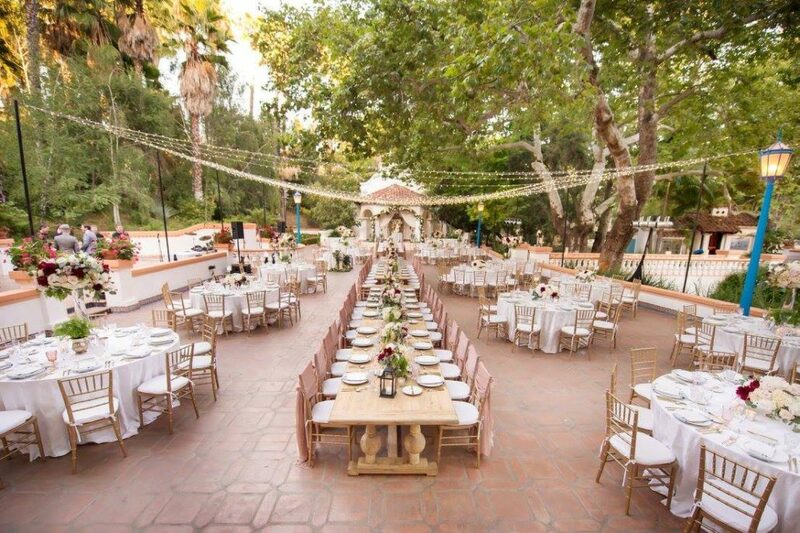 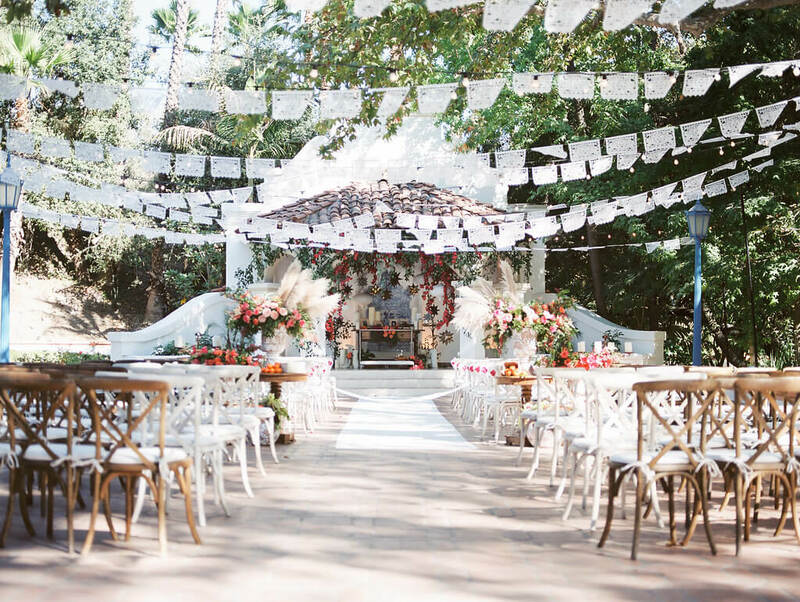 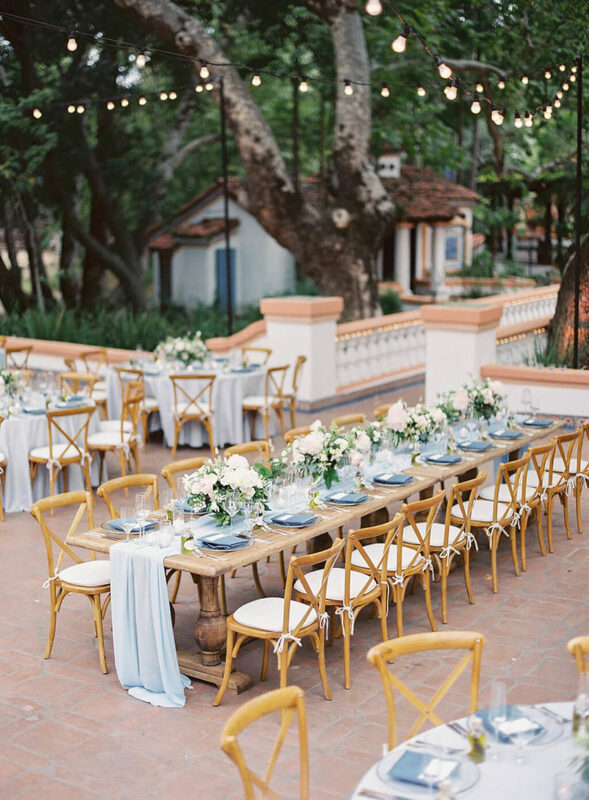 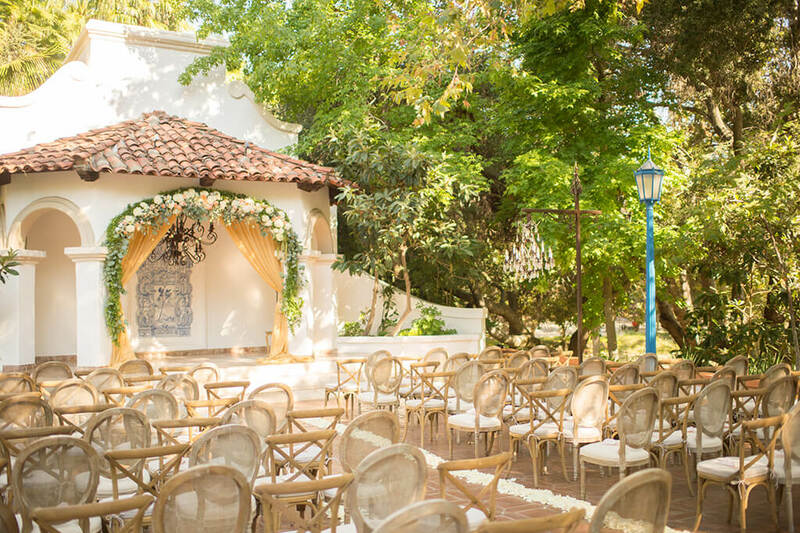 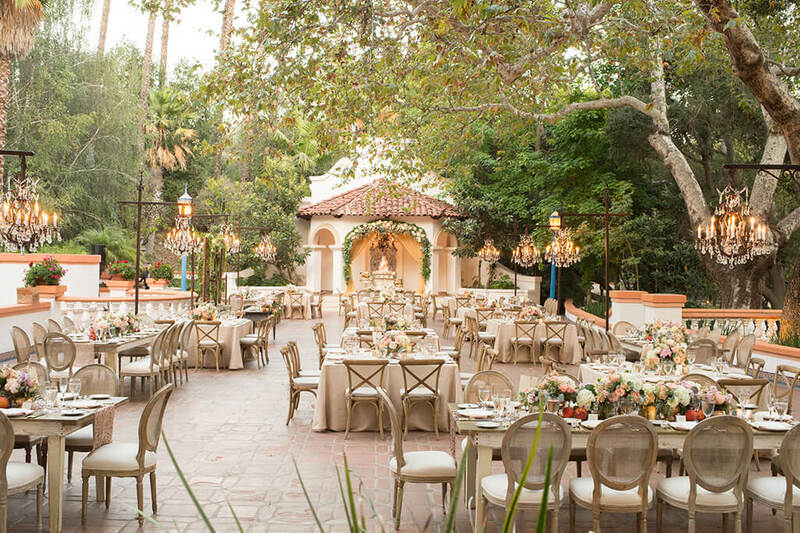 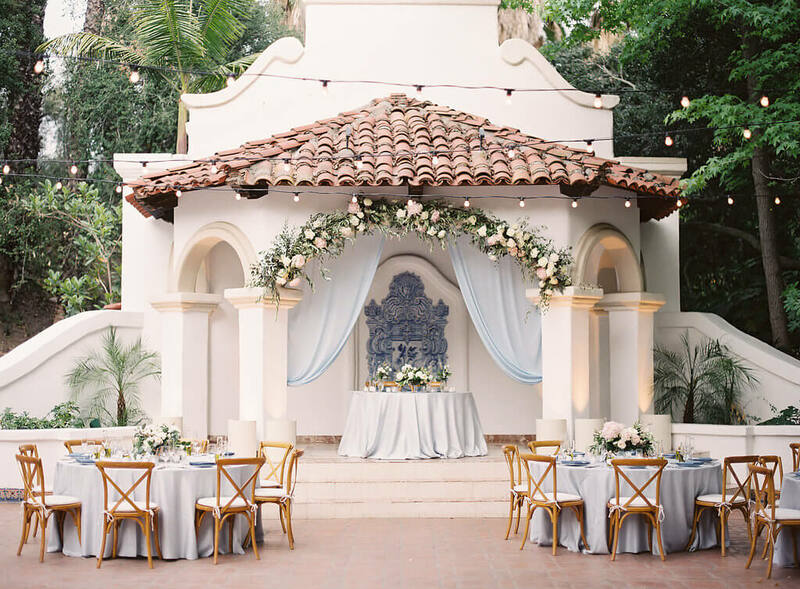 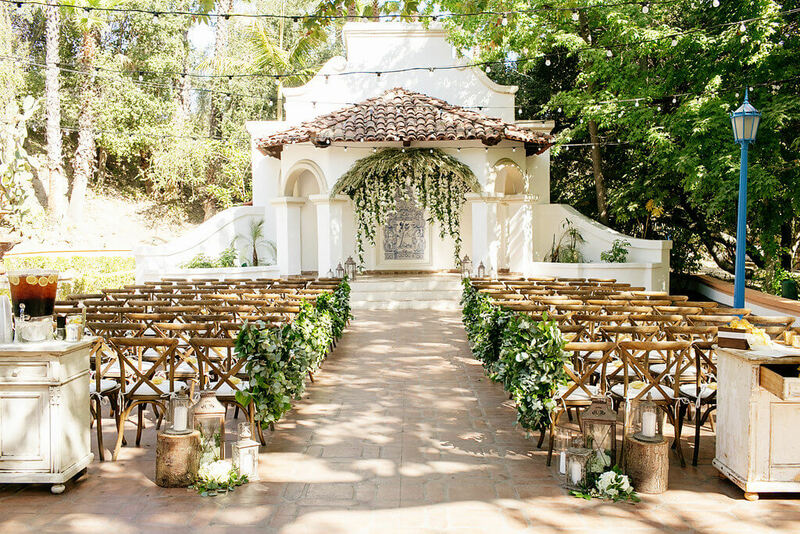 Nestled under ancient oak and sycamore trees, this open-air theater with a marble ceremonial stage is a spectacular place to say, “I do.” The white stucco, the blue and white hand painted tiles, the murals from Portugal and the botanical gardens that surround the large patios help set the mood for a truly enchanting experience. 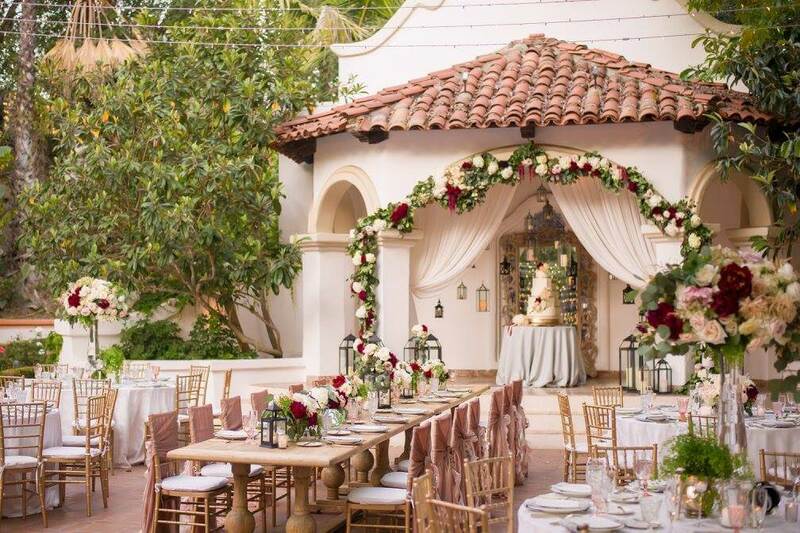 This lovely area can also be used for an outdoor reception seating 375 plus guests. 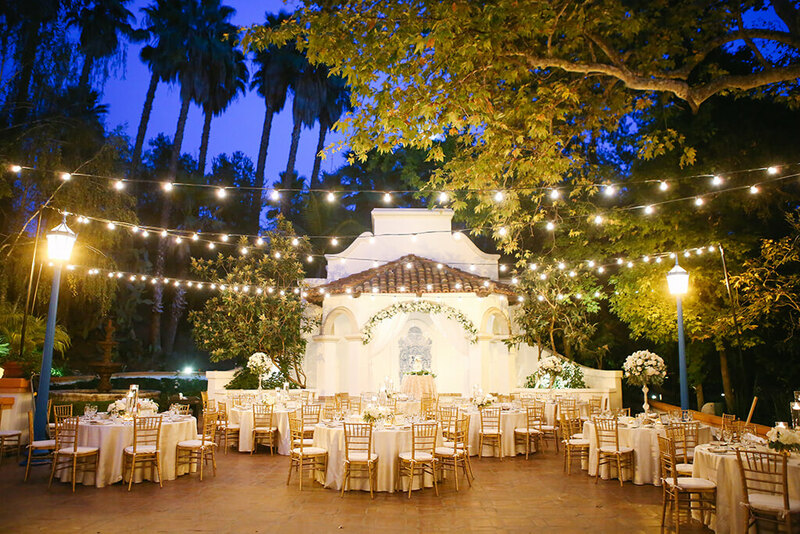 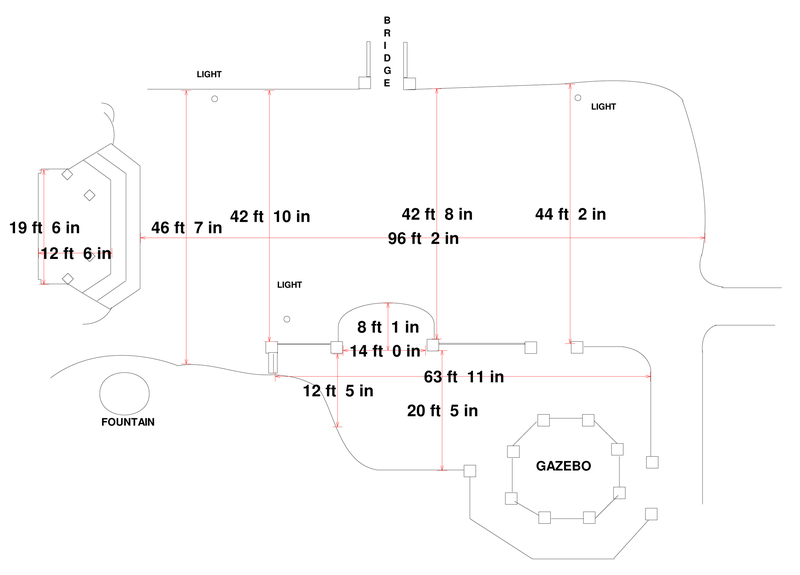 The intimate garden lighting can transform the Teatro into a romantic evening paradise. 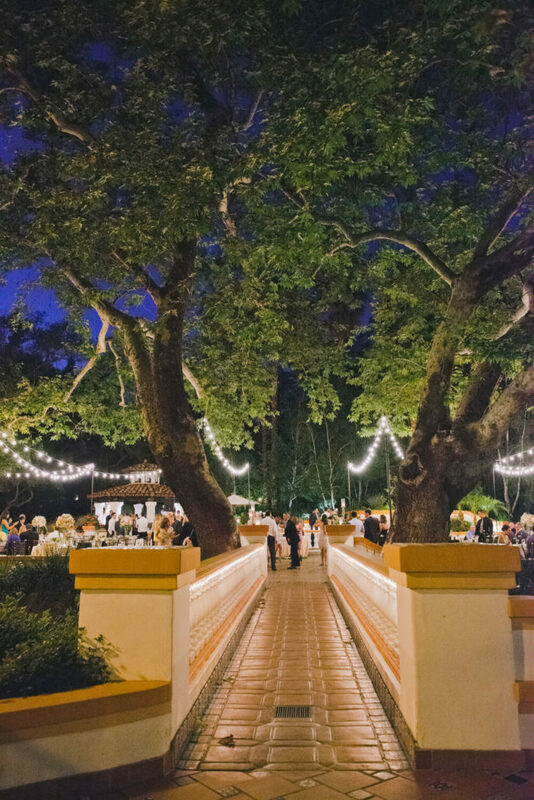 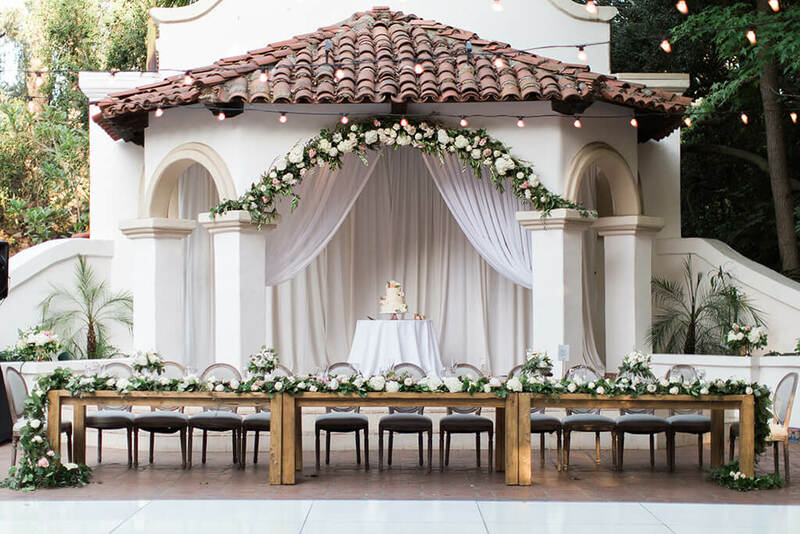 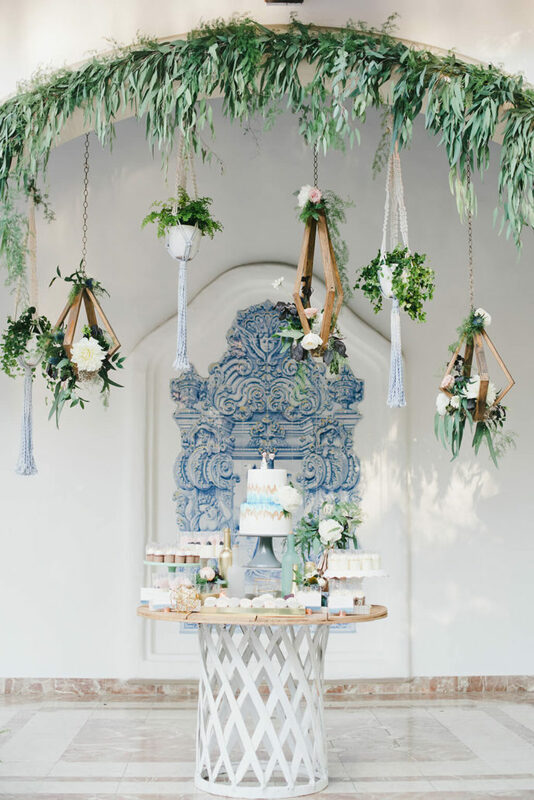 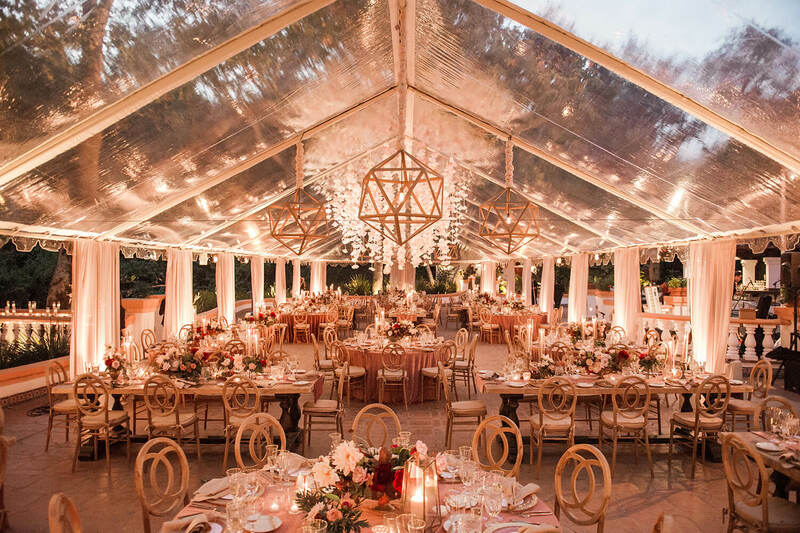 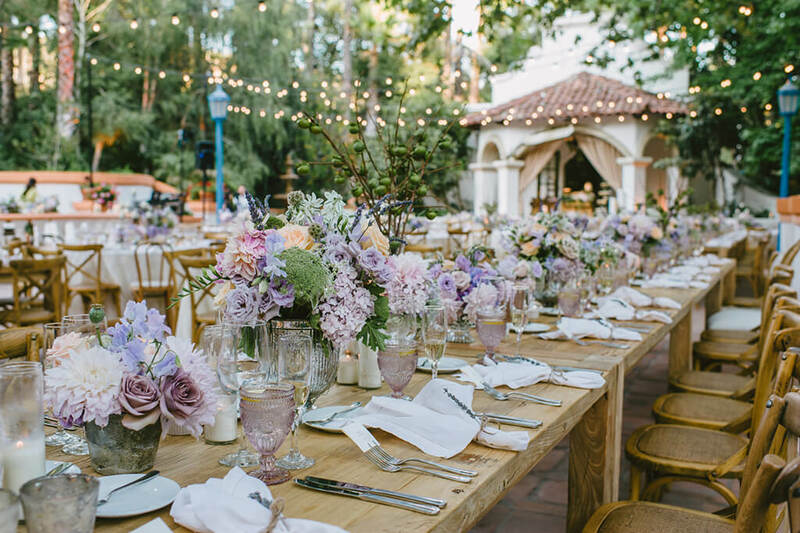 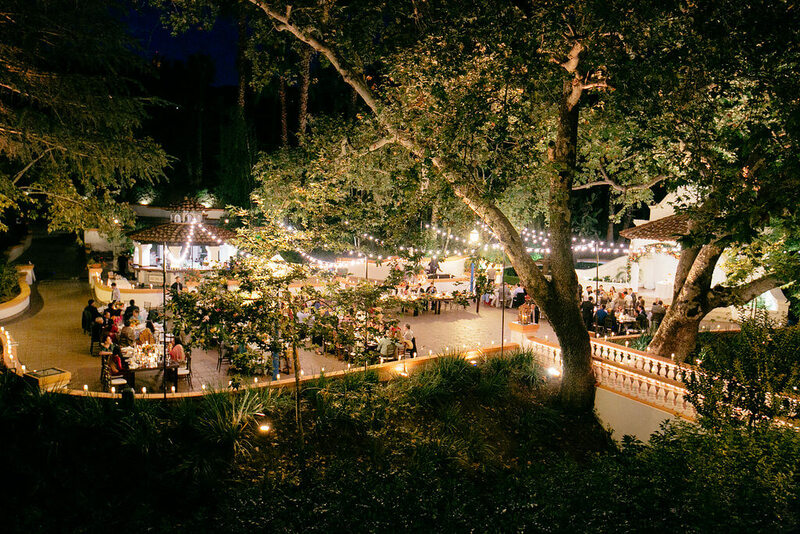 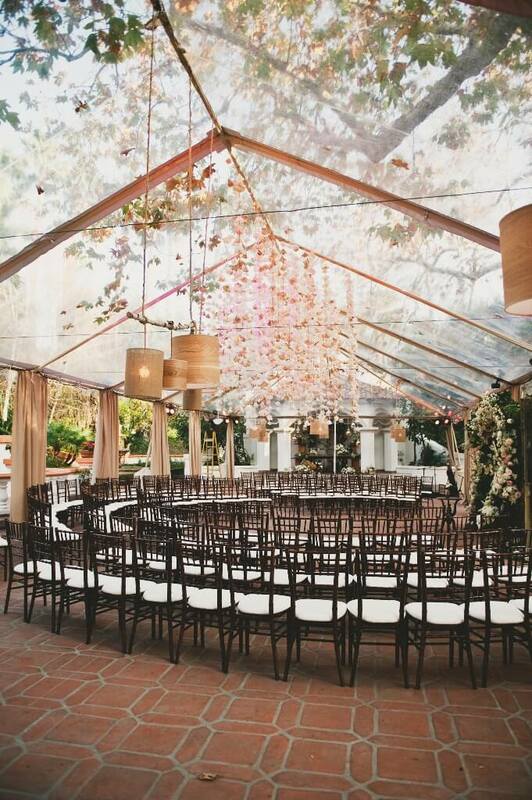 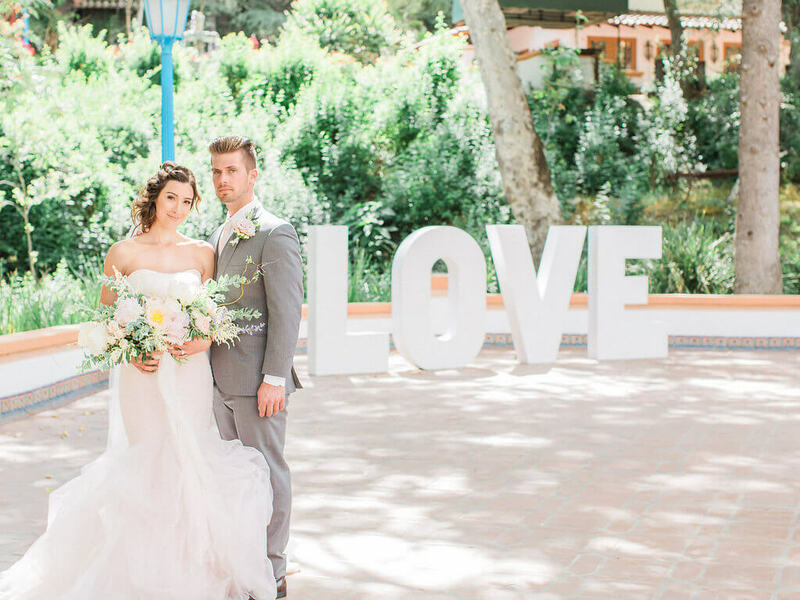 Are you dreaming of your wedding underneath the ancient Sycamore trees?